There are so many spectacular spots to ski or snowboard all over the country. In this article we will focus simply on the Southwest. Surely some places you have heard of and possibly some you haven’t. These aren’t listed in any particular order, just places we enjoy getting up early and making first tracks. This mountain is home to much more than a mountain and a couple of ski lifts. In addition to traditional lifts and runs it sits on 748 acres of various projects and activities ranging from Southern California’s only Half Pipes, the Red Bull Plaza, and The Scene. Learning here is easy and natural as the resort is backed by many certified professionals to enhance the experience for all ages and levels of experience. Bear Mountain is also home to a state of the art snow making machine/process ensuring that the conditions you receive on the mountain are top of the line regardless of when you make your journey here. The mountain features 11 lifts with a base elevation of 7,140 ft and a peak elevation of 8,805 ft. 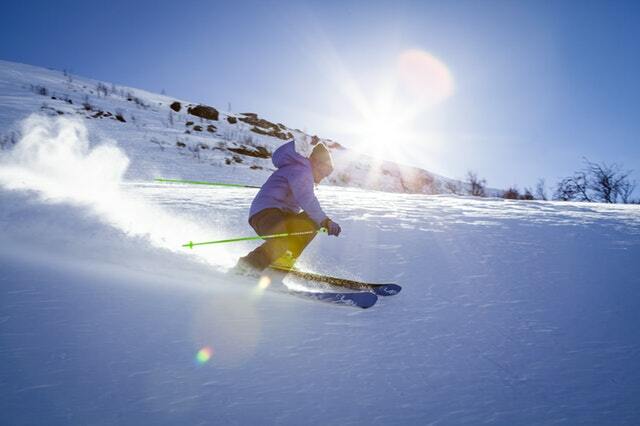 This park receives and annual snowfall of 29 feet ensuring that the offered skiing is consistent year after year. It has a base elevation of over 9000 feet and a peak summit over 12000 feet. This is a beautiful park with a ton of trails. With 25 lifts there is always somewhere new to explore on this resort and endless fun and challenge awaits. Much like Bear Mountain, Winter Park utilizes the making of snow to guarantee the park opens up prior to Thanksgiving every year regardless of snowfall levels. Our favorite run on this mountain, the Parsenn Bowl, has a maximum run length of 4.9 miles which makes for one hell of a ride down the mountain. Several high speed lifts can get you back to the summit giving you a chance to experience the mountain multiple times without ever going down the same run twice. Not that there is anything wrong with hitting the same run twice. 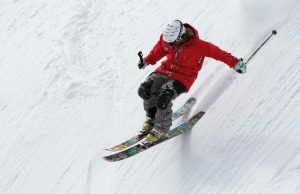 In addition to traditional park amenities, Winter Park Ski Resort also offers a competition center for the more advanced and competitive natured skiers and snowboarders. Park City was incorporated as a city in 1884. Since then this mountain has become a premier spot for skiers to spend a weekend or 2 unwinding and hitting the slopes. Park City is home to over 120 trails that have to be groomed every single night. This is no small feat as the work has to be done in 2 different shifts overnight. The resort boasts a base elevation of 6800 feet with a summit elevation at a whopping 10,026 ft. A monstrous climb. The resort has over 7300 skiable acres across over 330 trail runs. With 92% of the mountain dedicated to intermediate and expert skiers this mountain is much more suited towards those with experience, but if you are just learning I wouldn’t be too worried as there is plenty of space to learn. Remember that this resort is huge and offers just about everything to everyone. This beautiful ski resort can be a little steep on price, but if you are in need of a financing there are options available to make this dream getaway a reality. If you have a sufficient credit score then you may be able to extend your credit limits through either a line of credit against an existing asset or via credit cards to pay for a trip here.